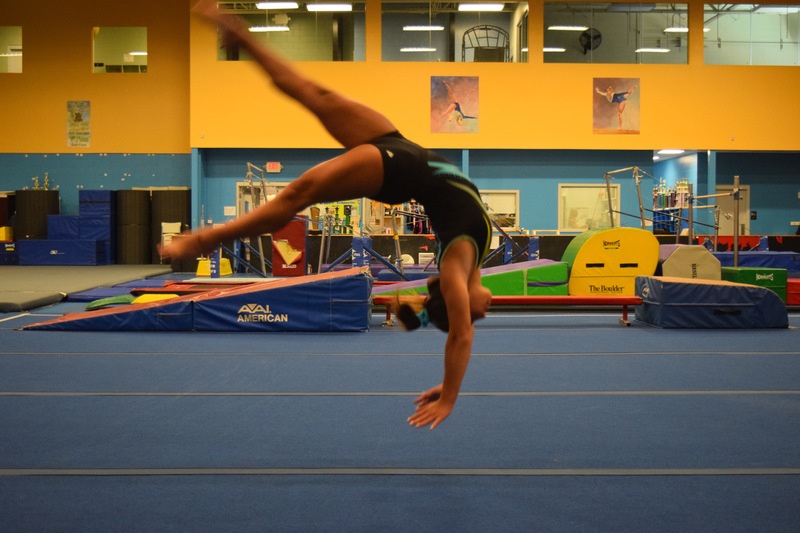 Without a doubt, one of the hardest and most confusing things for everyone in artistic gymnastics is how to return a gymnast to training safely following a back injury. Issues ranging from simple muscle strains all the way to more complicated stress fractures, spondylolethesis, and symptomatic disc bulges with irritated nerve roots can me really intimidating to come back from. In such a complex sport like gymnastics that has high force, high repetition, and a huge range of skills/equipment to use, many people are (understandably) lost on where to start. What do I do after I’m “cleared” by a doctor? What skills do I do first? What equipment or surfaces should I start on? Does it matter what type of injury I had? These are overwhelming questions for someone to tackle, especially rehabilitation professionals who are often in charge of giving gymnasts advice on getting back into the gym safely. Other sports like baseball or running have really good progressions based on years of research, but as of now gymnastics is not so fortunate. Without a slow, step by step progression of forces and skills, this time period is sadly when many gymnast’s pain comes back and they start sliding downhill. Everyone gets more scared about long term health, and if returning to gymnastics is going to happen at all. So, in an effort to help people out, I have combined my last 5 years of reading gymnastics injury and biomechanics research, my experiences working with well over 500 gymnasts for back pain, and the work of some fantastic mentors I am lucky to have working in other professional /Olympic sports. I want everyone in gymnastics to have them, so that they can also help gymnasts who are struggling to make a plan for getting back into training after a back injury. Just put in your email below, and I will send you them for free. I hope they help!